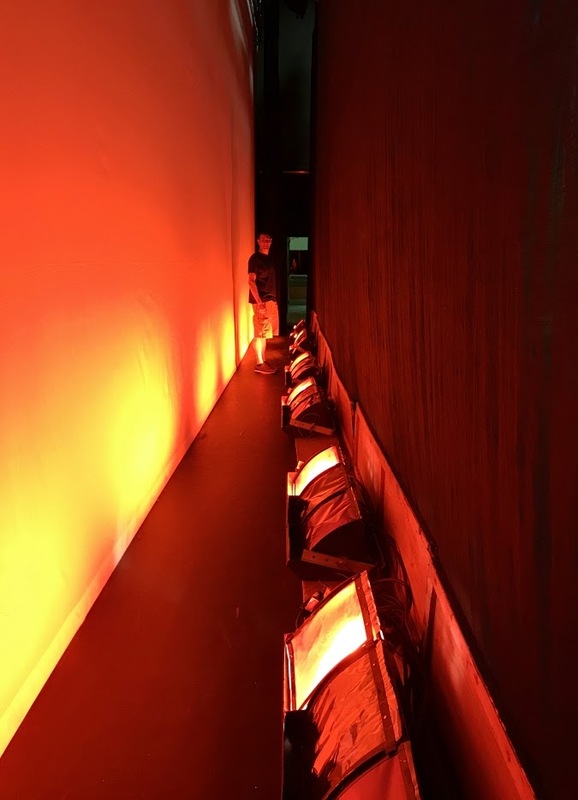 i snapped this picture on friday in the theatre when ryan and i were setting lights for the shows we had this weekend. ryan was in the space between the cyc and the scrim and the lights made him look like he was in an bright orange tunnel. it was a cool effect in person that didn't entirely translate to a photo, but i snapped one on my phone anyway to remember it. happy monday! we're beyond delirious this morning! Beautiful and I bet those lights were hot.